While many scientifically oriented publications are content simply to pass on the latest pronouncements of the established research community, Atlantis Rising Magazine regularly reports on news and developments which challenge the very foundations of orthodox thinking. Buy a single copy or subscription to Atlantis Rising magazine. It offers you what many in the mainstream press and the tabloids don’t—the hard-to-find-out truth. Atlantis Rising offers credible, colorful, well researched, well illustrated and well written articles featuring the top people in some of the least understood areas of current investigation. Providing a serious forum for alternative ideas of pre-history, science and culture. 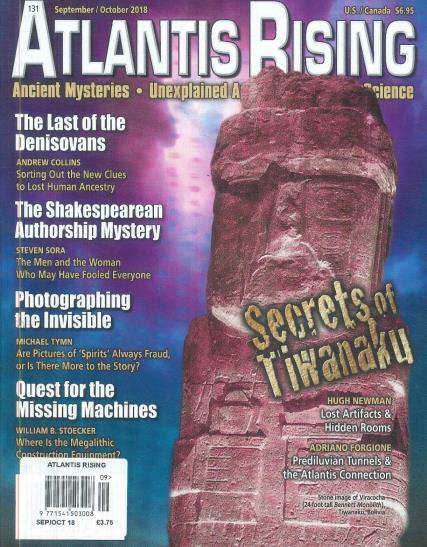 Not surprisingly, the publication has become the magazine of record on ancient mysteries, alternative science and unexplained anomalies.